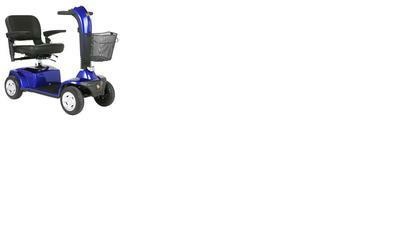 The used Golden Champion Scooter for sale by owner is a Blue Golden Champion II 4 Wheel electric mobility scooter that will handle all users whether they be large or small. This little chair will capably carry them all. I have owned the scooter chair for 2 years and only used a couple of times during that time. The Golden Champion has both head and taillights so you can safely use it at night. It has rear view mirrors and is key operated. and you will see what a sweet deal you can get on this nice, blue mobility scooter. The used Golden Champion mobility scooter for sale is in Yucca Valley CA California USA and my price is $2,500 Cash Sale only and I would also be willing to consider best offers sent to me using the comments form provided by GoGoCycles Used Motorcycles for Sale.